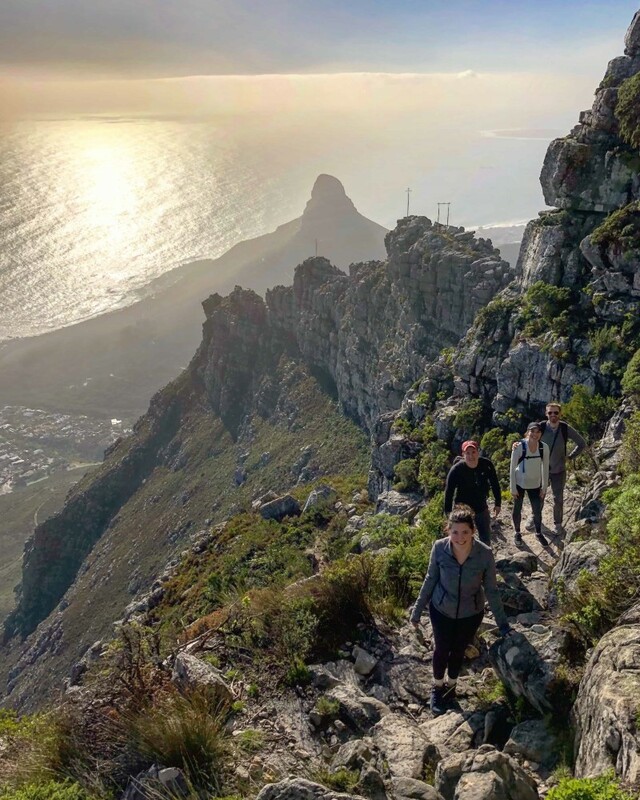 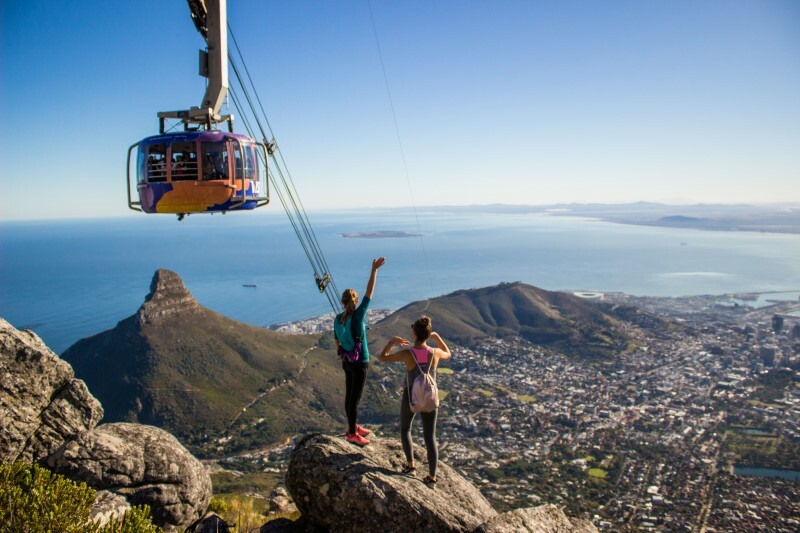 Without a doubt, Table Mountain is what makes Cape Town the unique city it is. 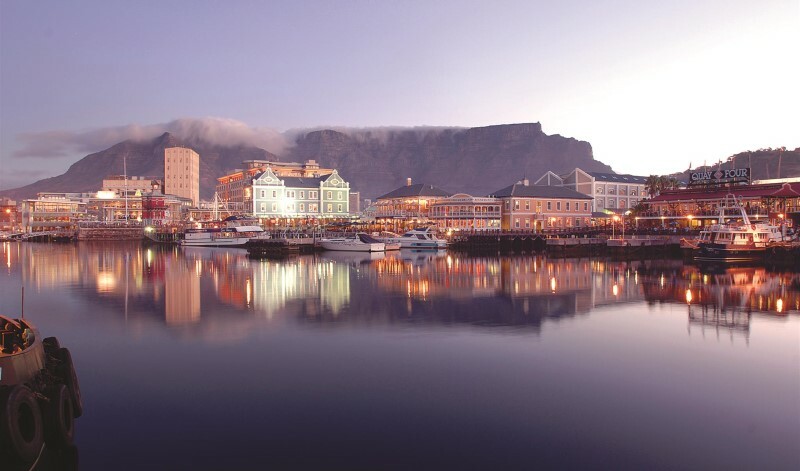 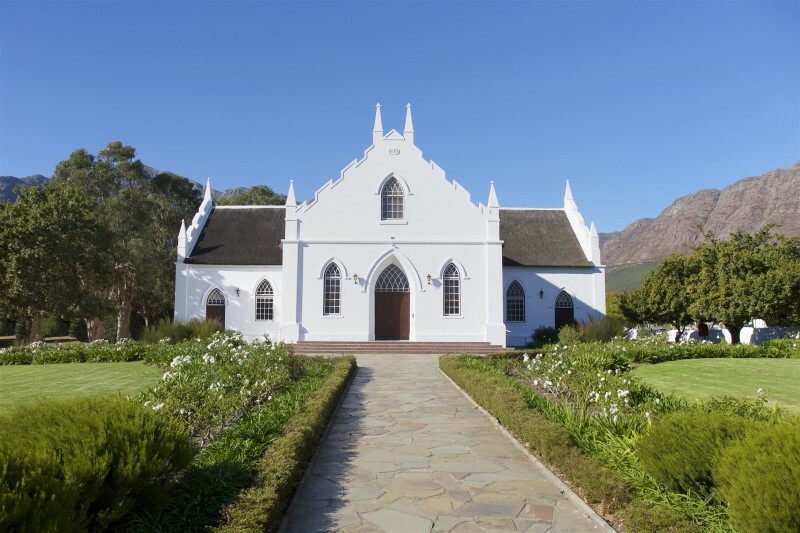 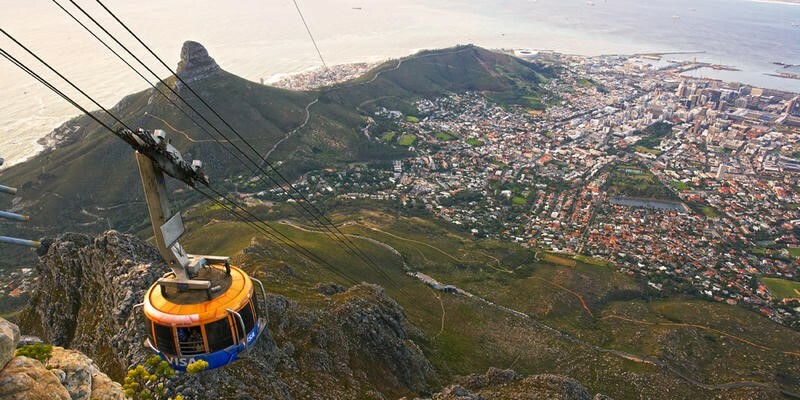 Rising over 1000m above sea level, it is the icon that makes Cape Town instantly recognizable. 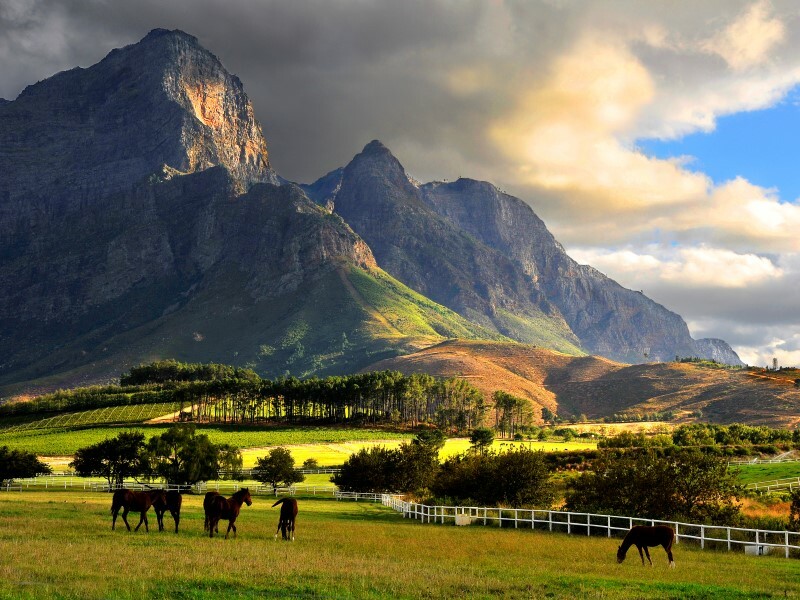 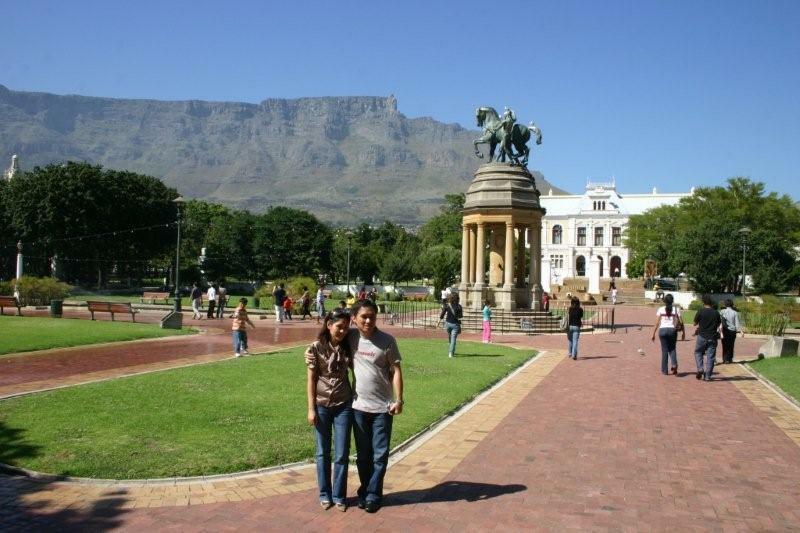 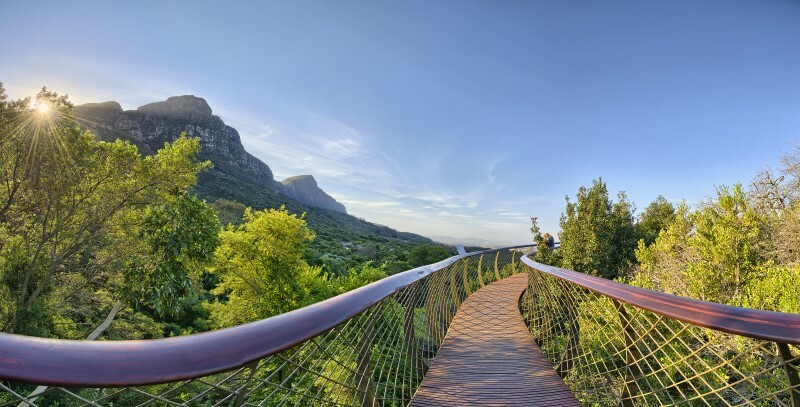 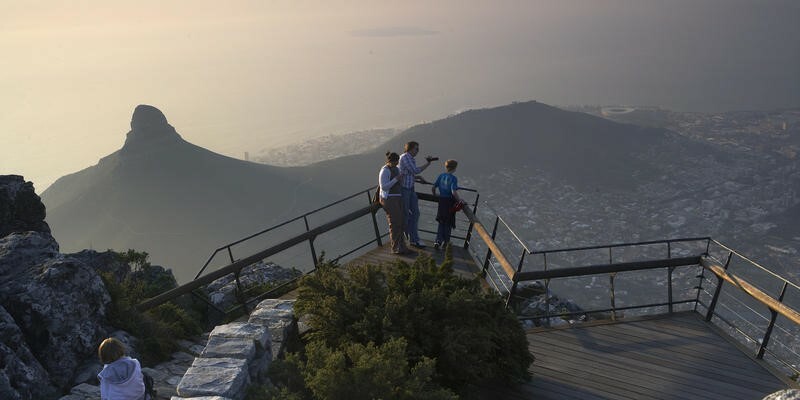 Intertwined with the identity of Cape Town, Table Mountain is a must visit. 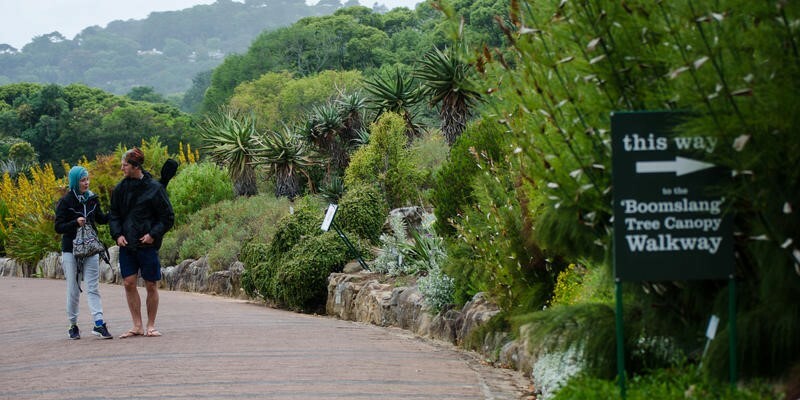 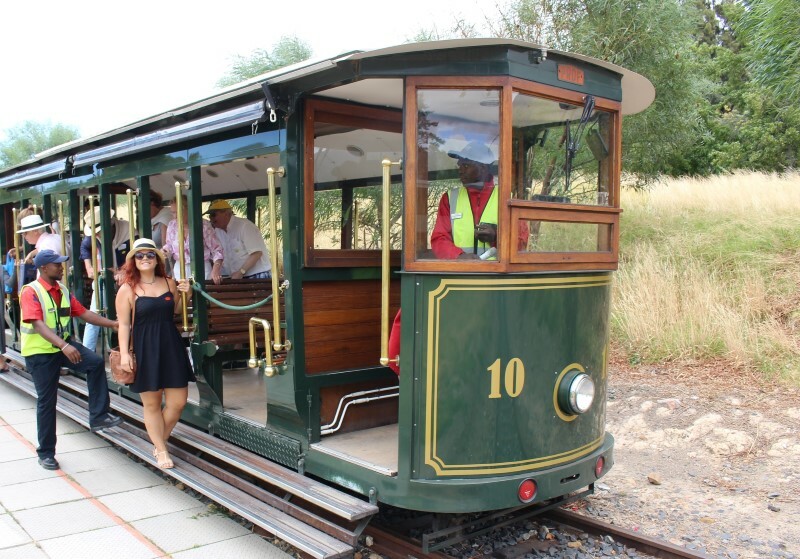 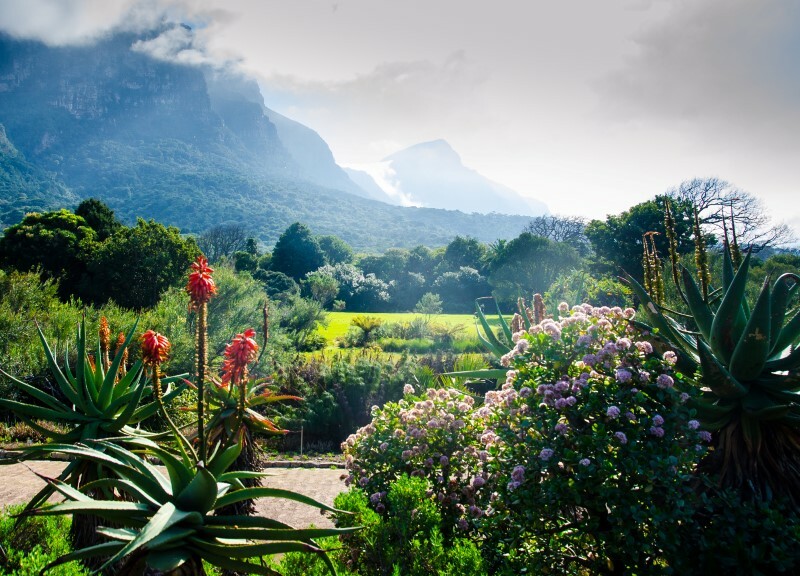 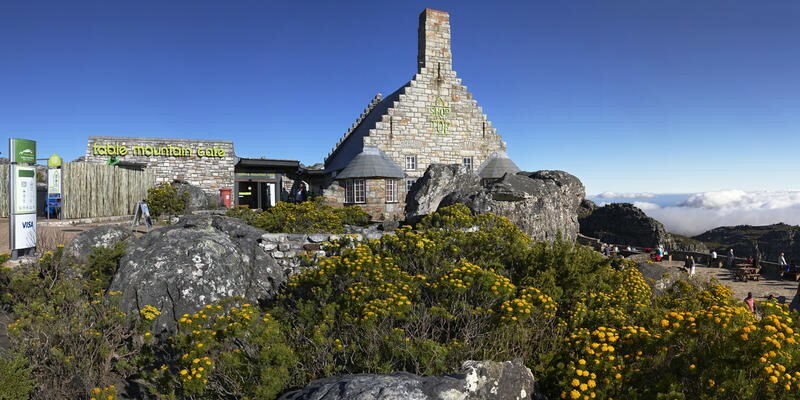 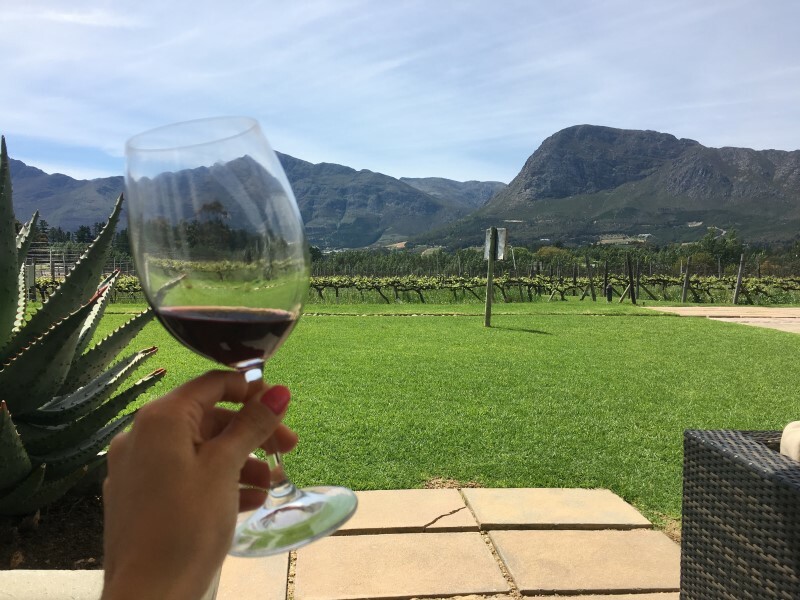 Hike up Table Mountain or take the cable car and enjoy lunch while taking in the magnificent views. 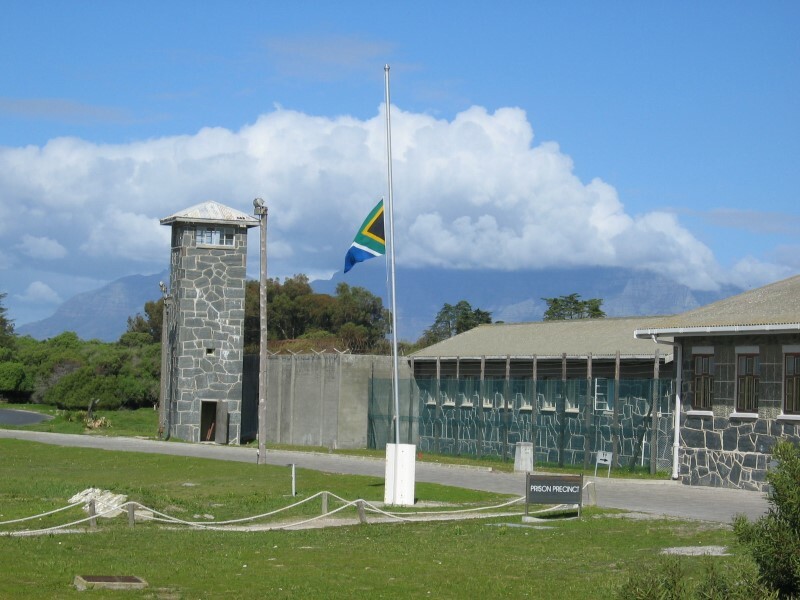 An icon of struggle, freedom and hope made famous by Nelson Mandela’s imprisonment on the island. 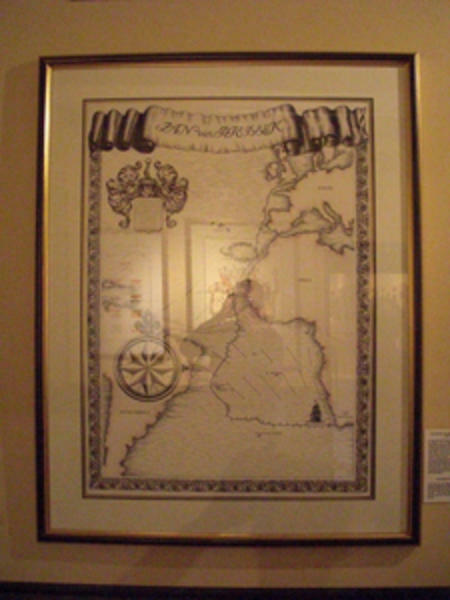 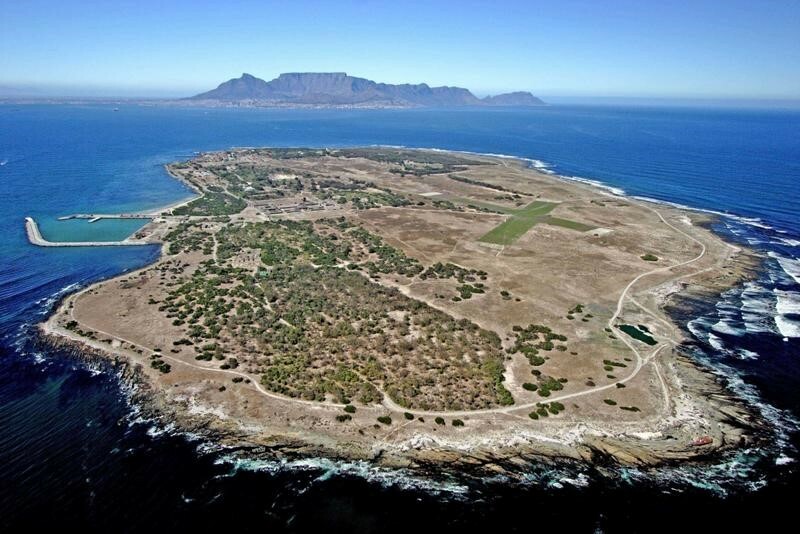 The island has been declared a World Heritage site. 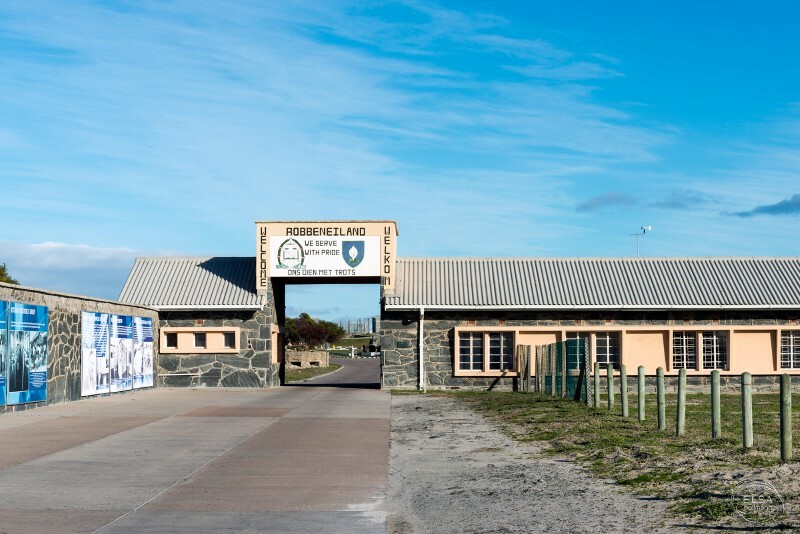 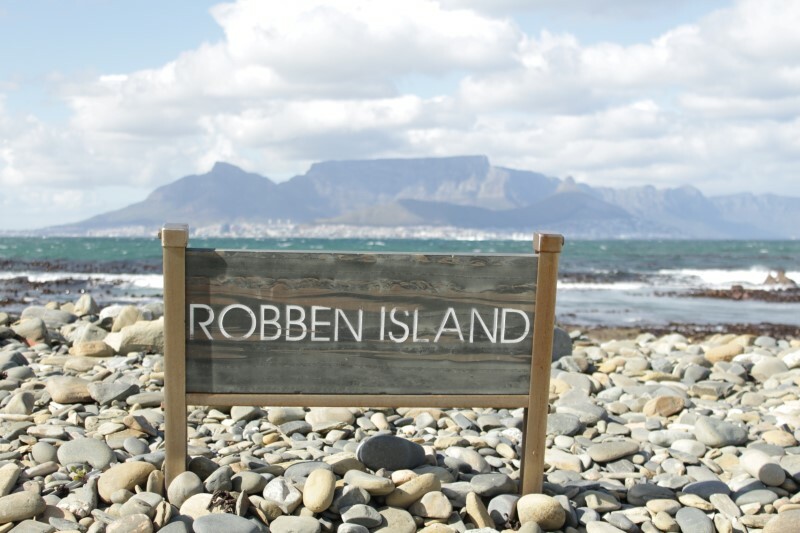 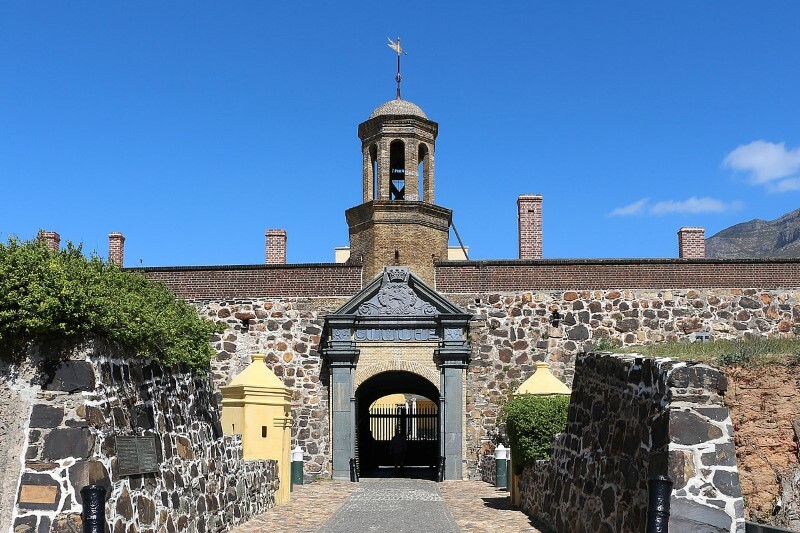 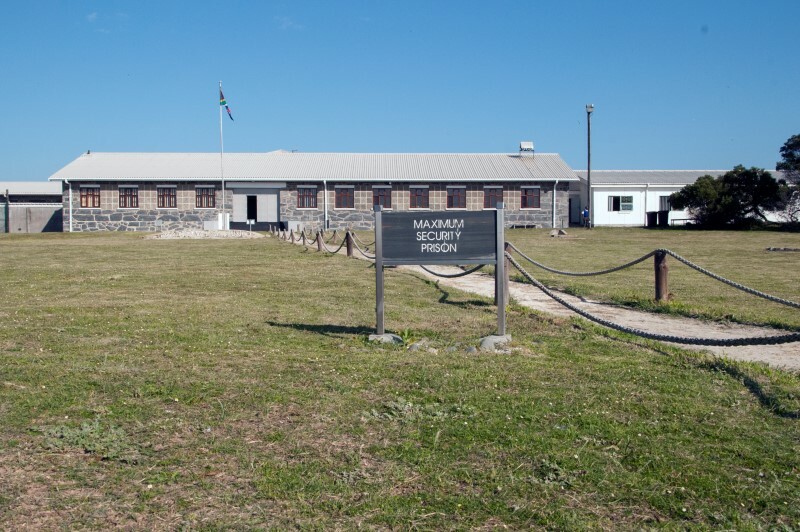 Nelson Mandela served 18 years of his 27 years in prison on the island, but Robben Island has also housed a hospital, mental institution, leper colony and military base during its rich history. 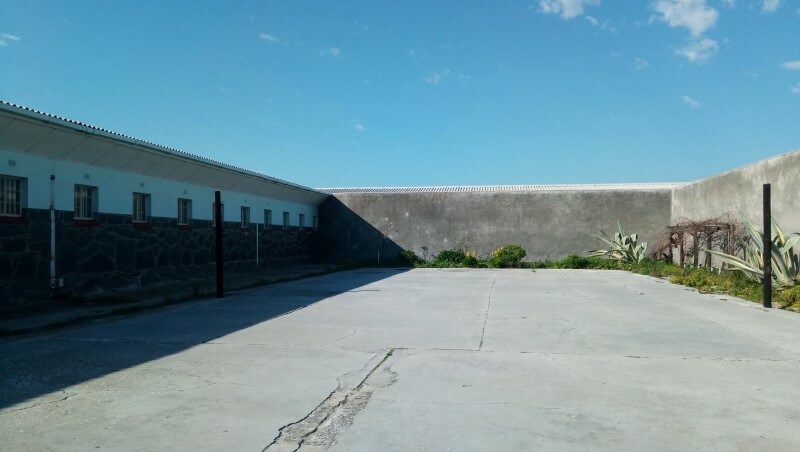 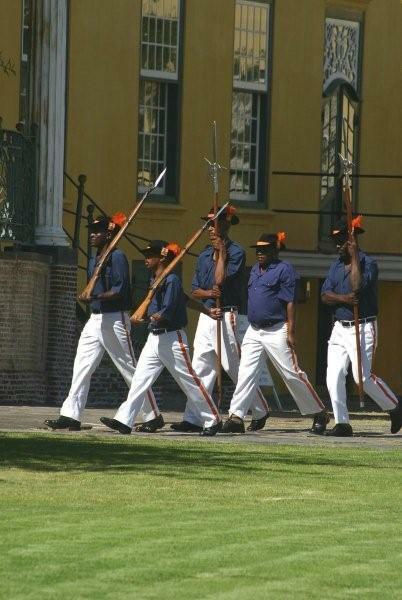 The Island tour is guided by former political prisoners for unique insights into the island’s history. 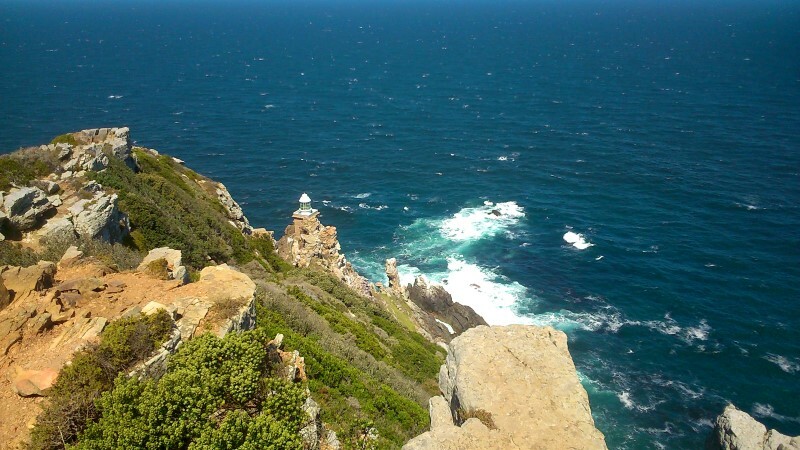 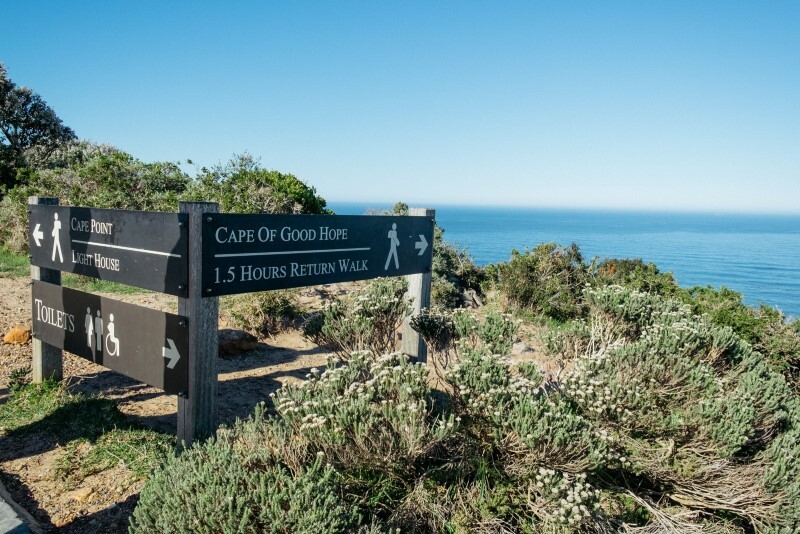 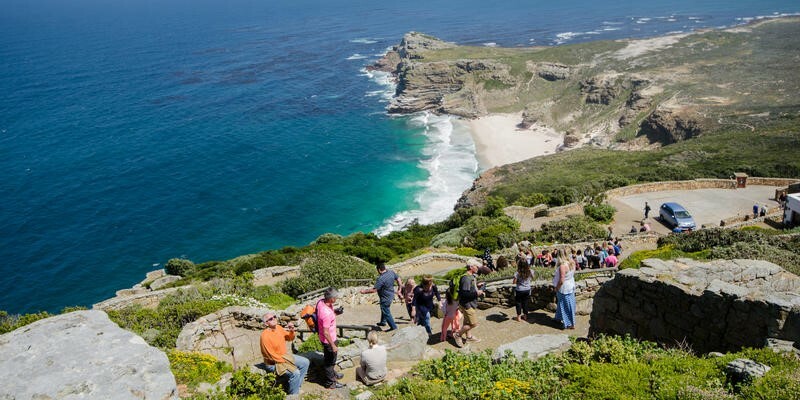 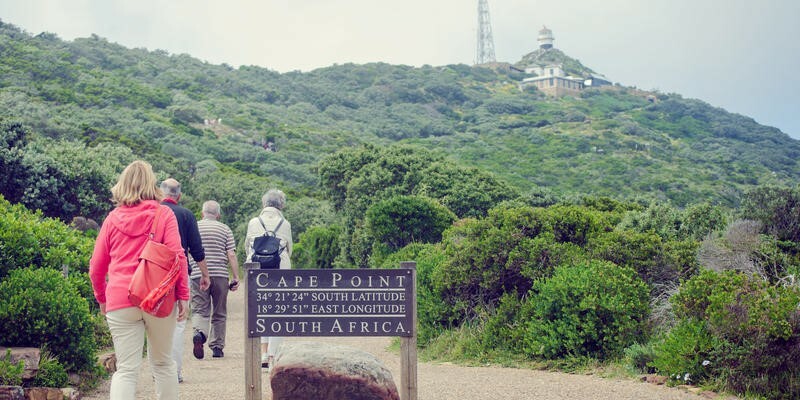 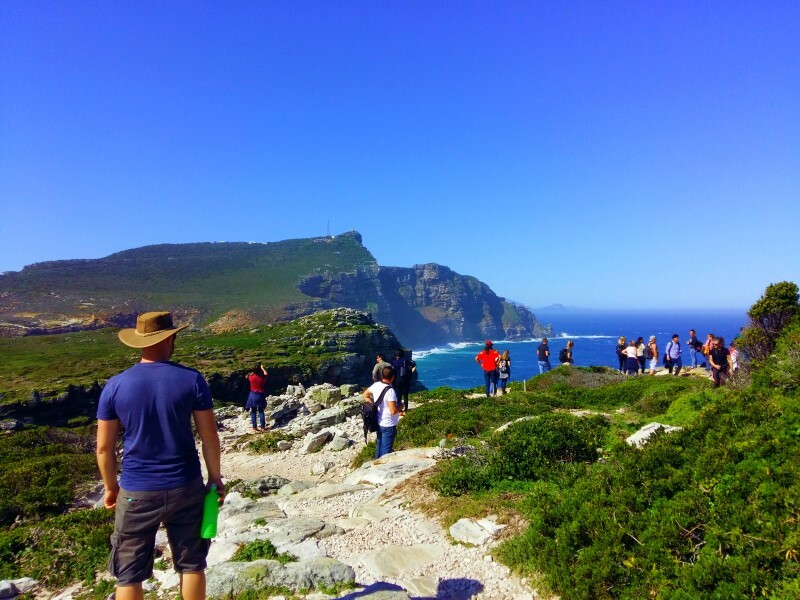 Cape Point is where the Atlantic and Indian oceans meet, it lies at the south-western tip of Africa and offers great views, a restaurant and a funicular which takes you up to the old lighthouse. 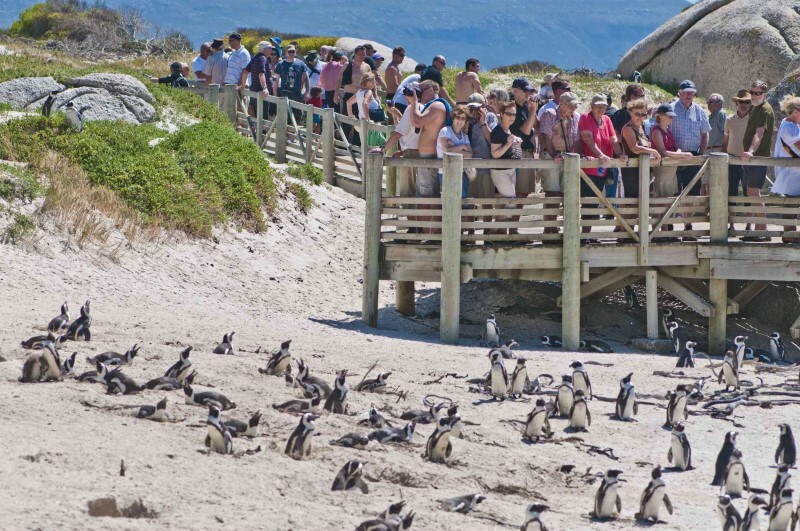 The spectacular scenery coupled with zebras, baboons, deserted beaches and plenty of fynbos makes this one of the Cape’s must-see destinations. 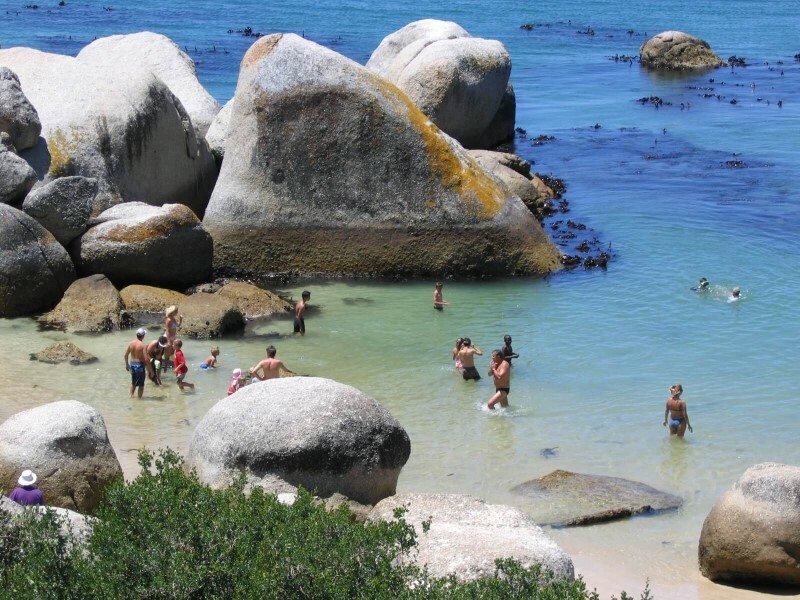 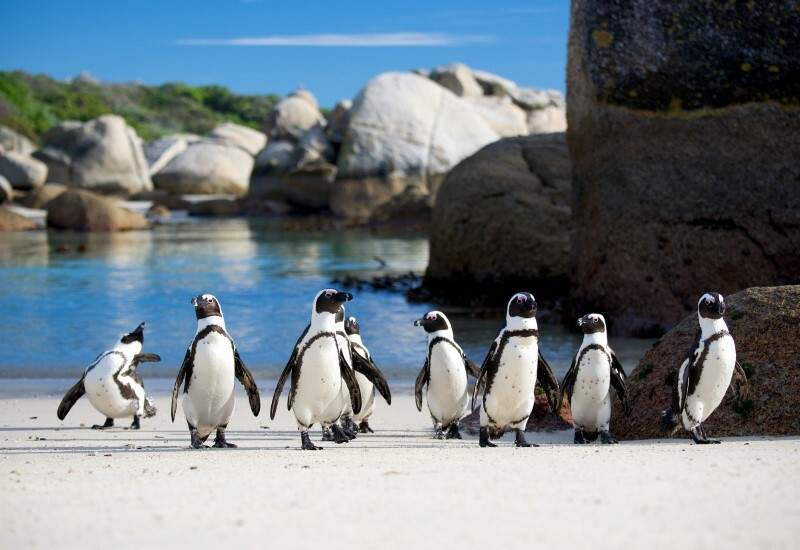 Boulders Beach in Simon’s Town is ideal for kids as immense boulders shelter the cove from currents and large waves. 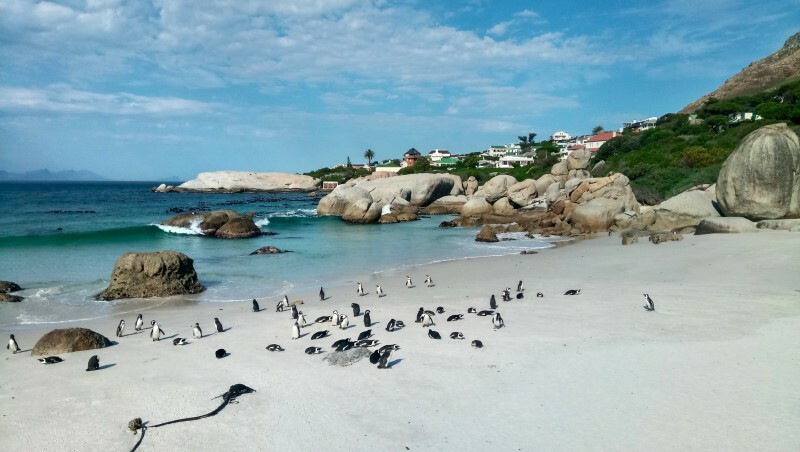 It is a rare pleasure to swim with the penguins but don’t touch or feed them. 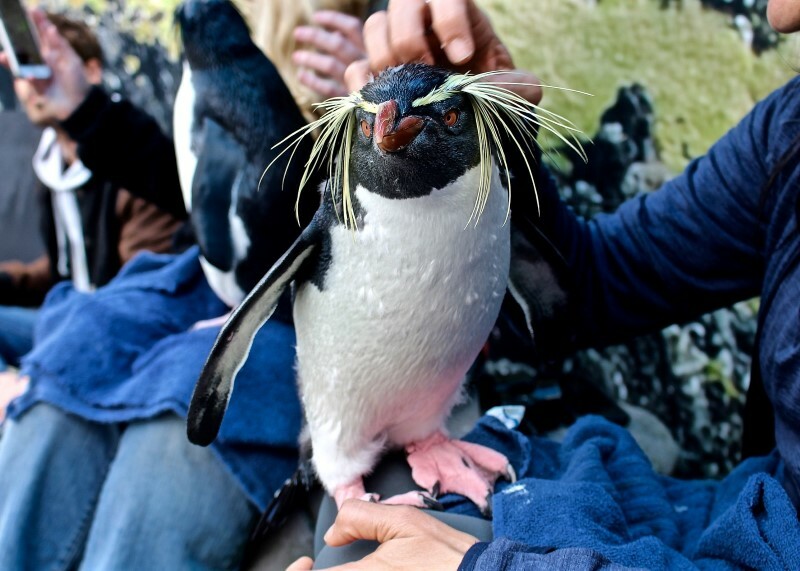 They might look cute and cuddly, but their beaks are as sharp as razors. 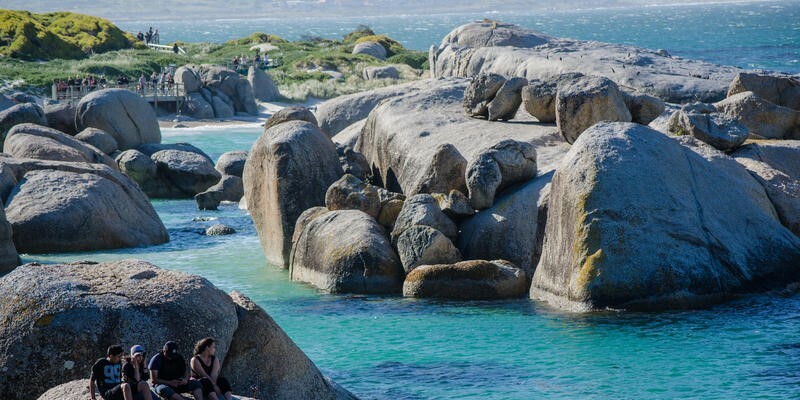 The beach is rarely crowded, so set up a picnic and enjoy!! 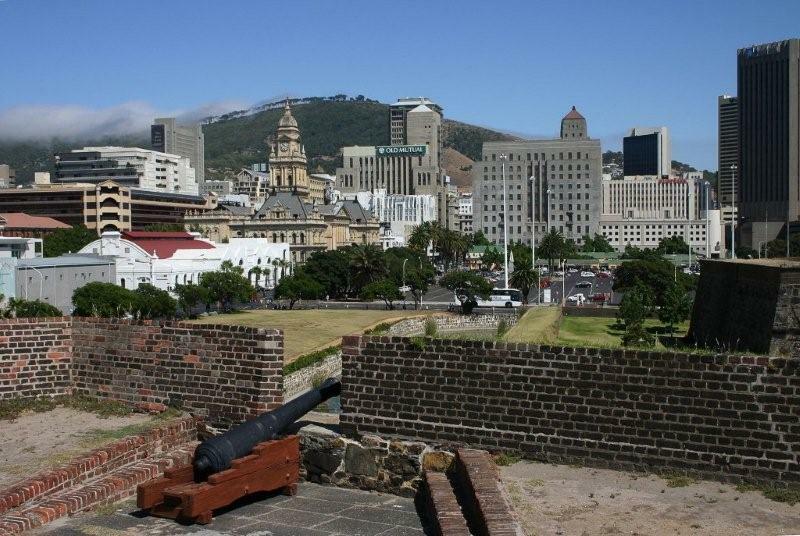 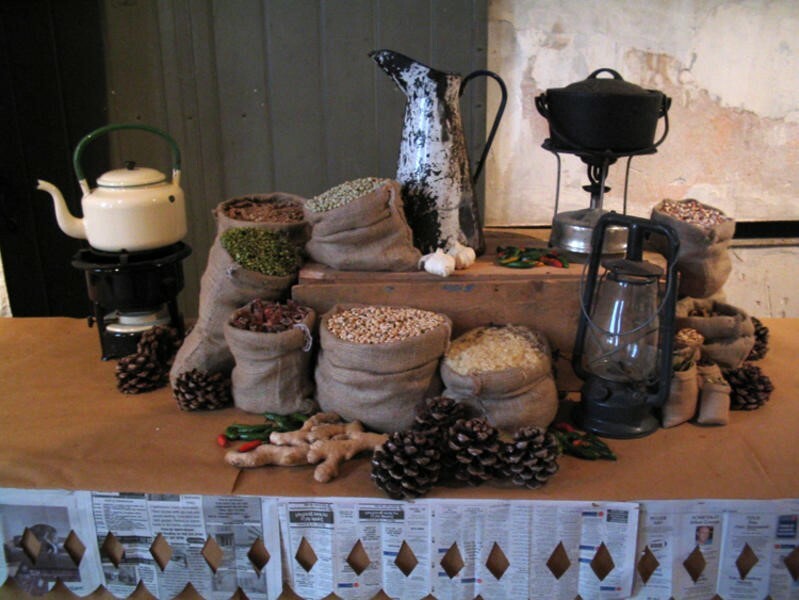 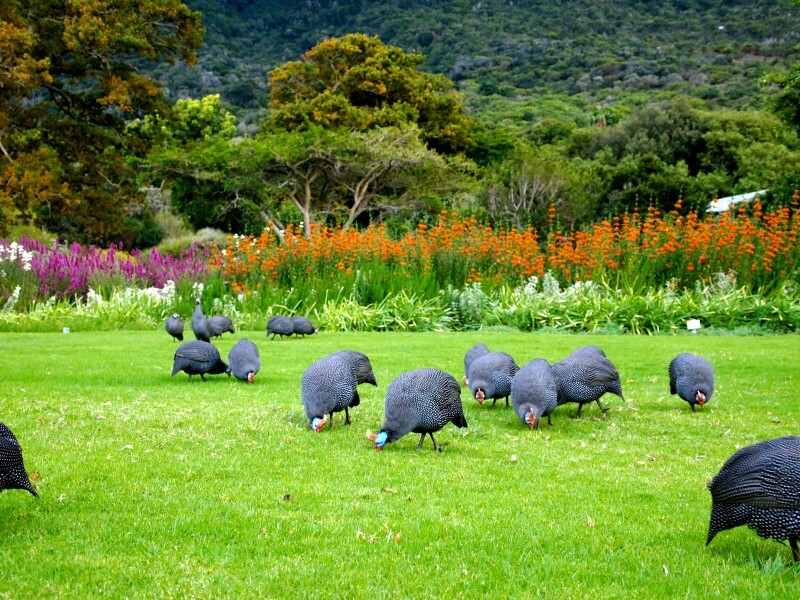 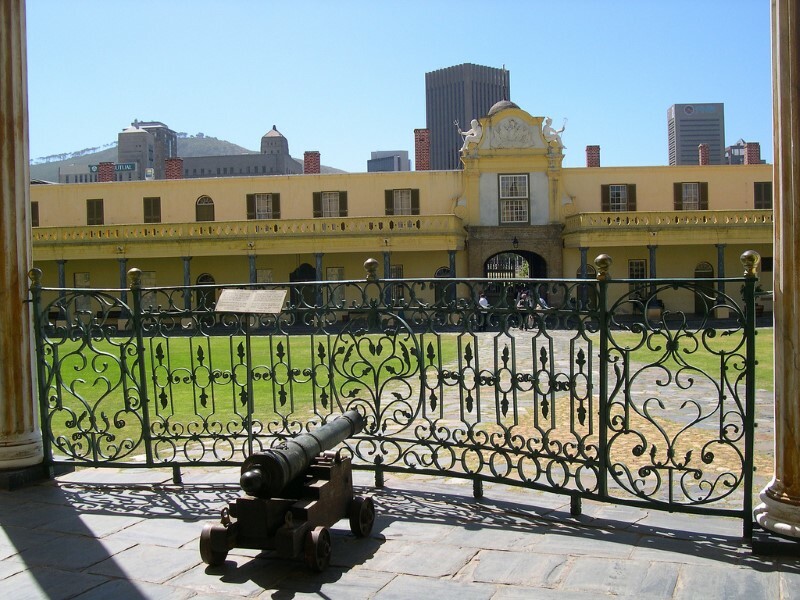 Enjoy a guided tour by an ex-resident of District 6. 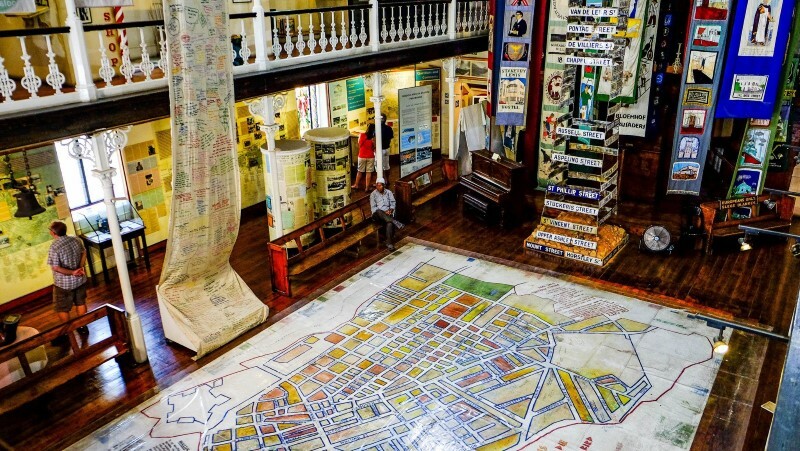 The site tells the story of District Six and is designed in such a way that a visitor can wander off the street and go on a self-guided tour. 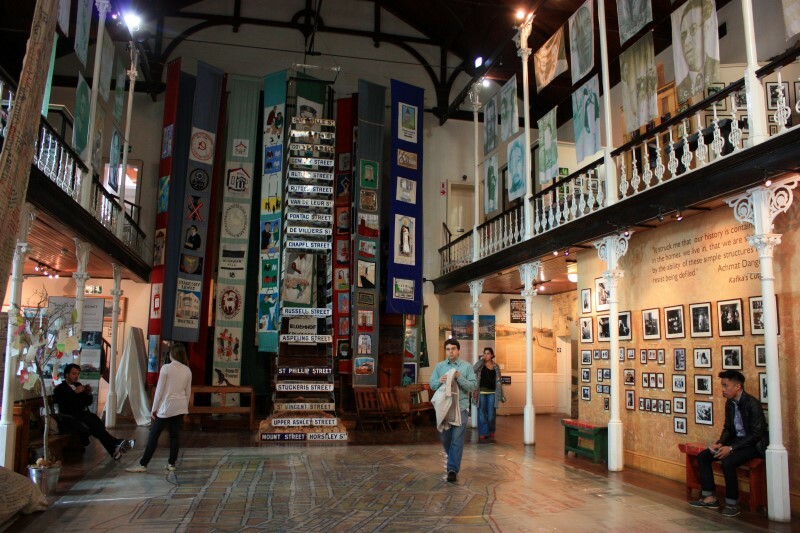 District Six was established as a mixed community of freed slaves, merchants, artisans, labourers and immigrants. 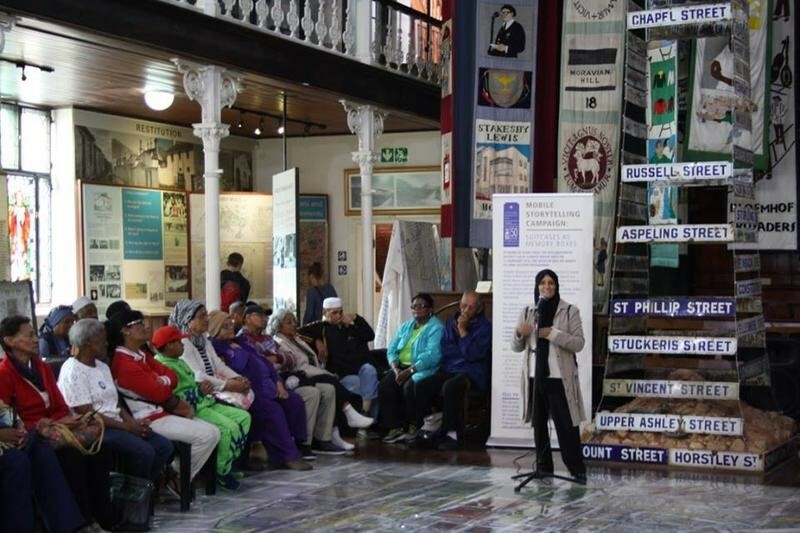 On a personal note, I lived in District Six and when I close my eyes, I can see my Mother’s tears rolling down her face as we were forced from a community that was family. 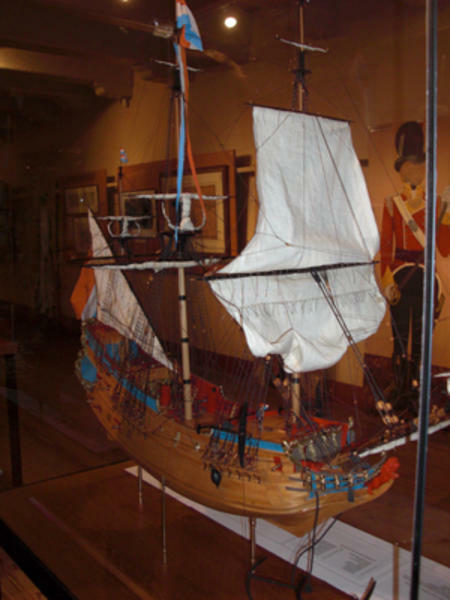 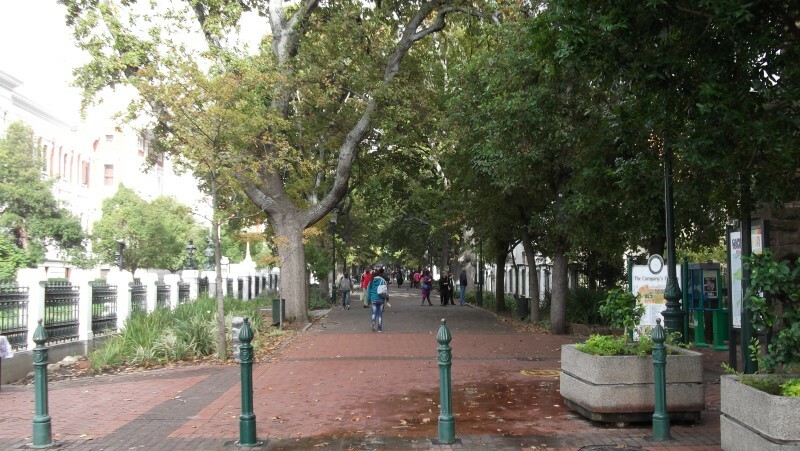 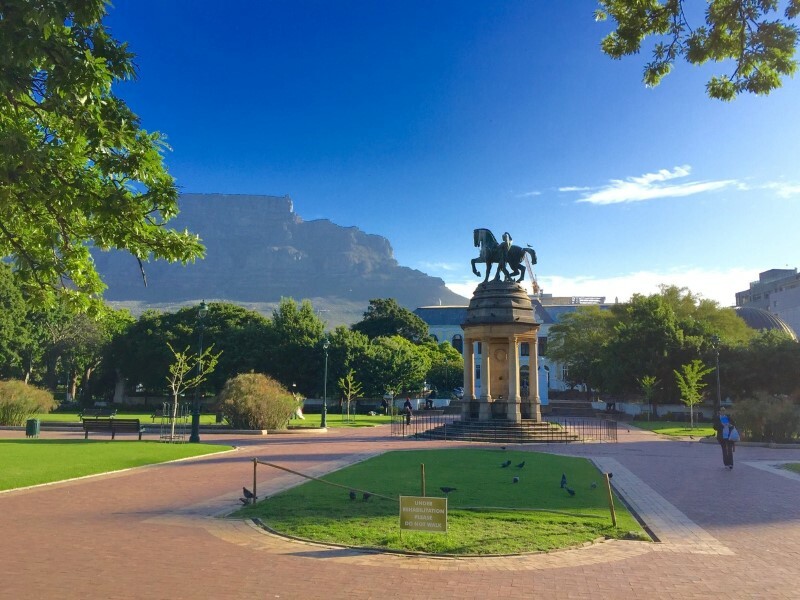 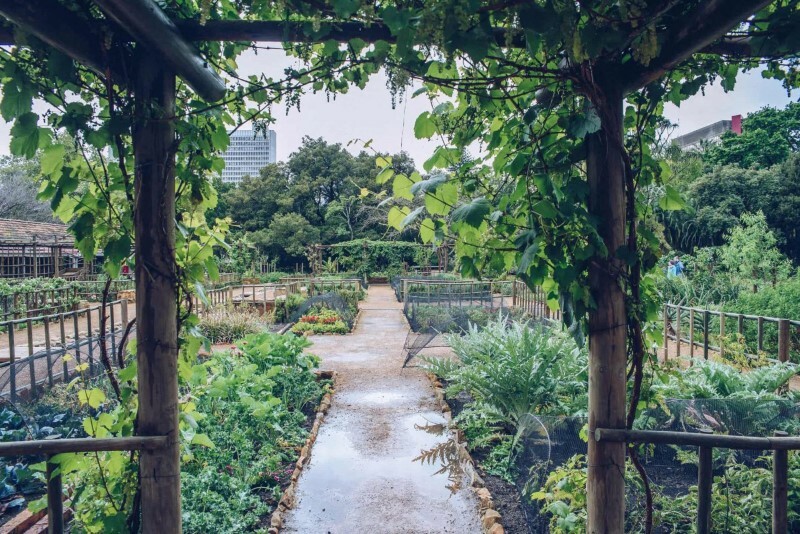 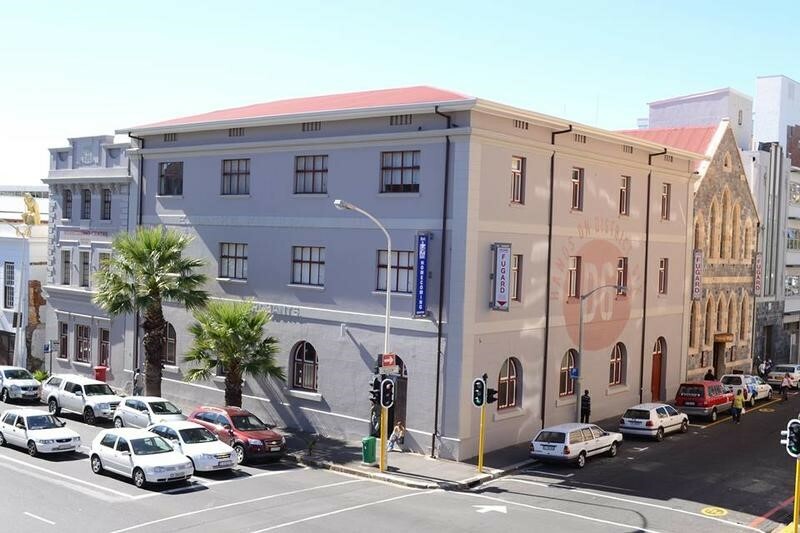 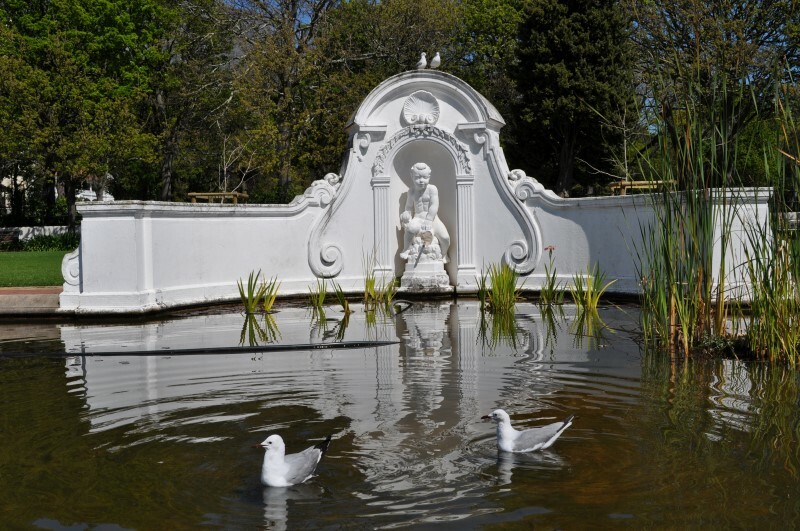 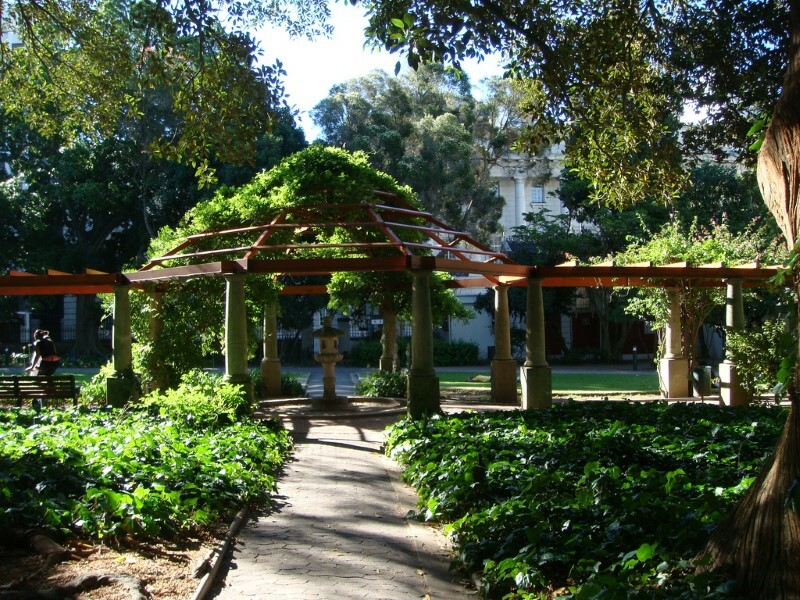 The Company Gardens is a treed haven in the middle of the city and is surrounded by museums and fascinating buildings – St Georges Cathedral, the Salve Museum, The National Art Gallery and the Jewish Museum to mention a few. 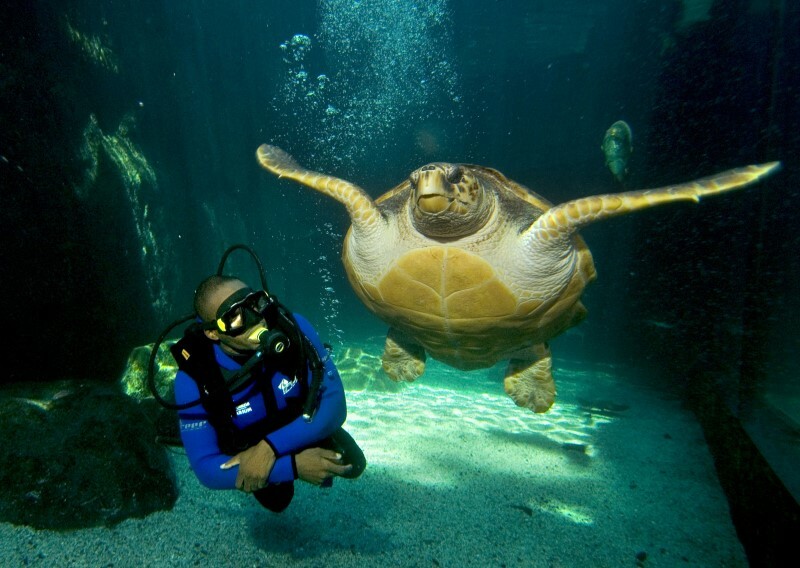 South Africa’s iconic Two Oceans Aquarium provides an unforgettable look at the life that thrives beneath the waves of the southern African coastline, a coastline that’s more than 2 500km long and exceptionally bio-diverse. 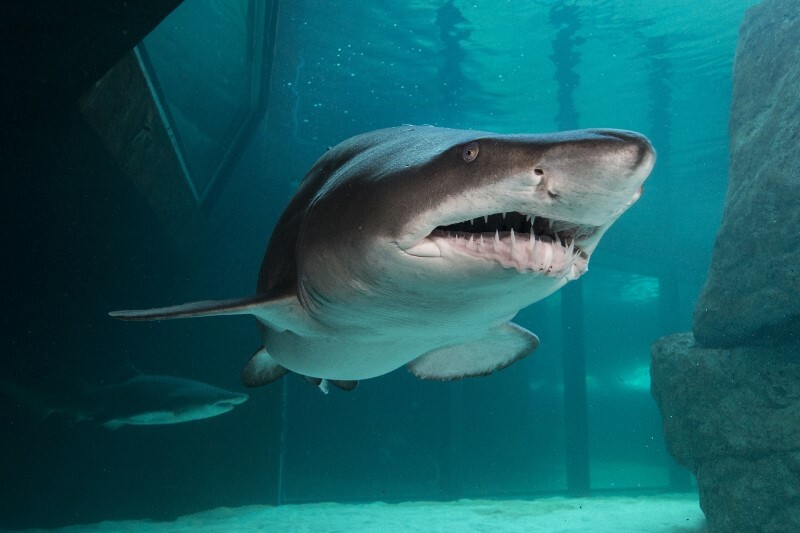 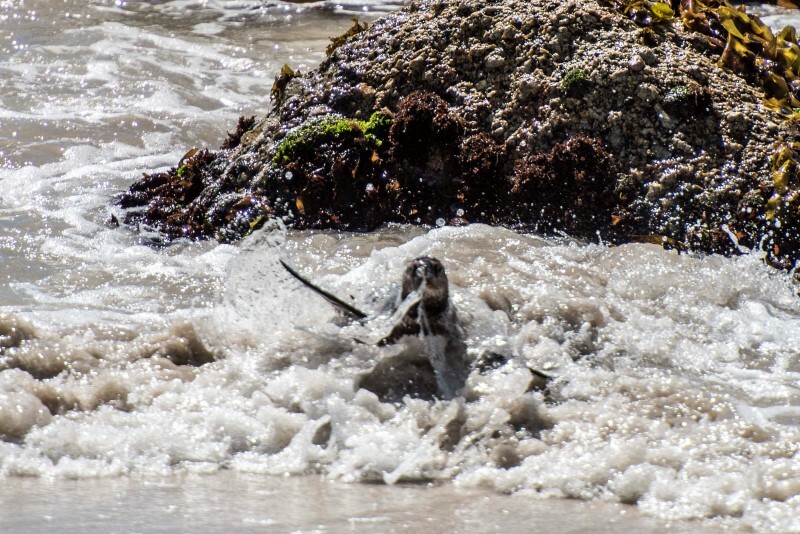 With an emphasis on conservation, the Two Oceans Aquarium’s collection – which holds more than 200 species – showcases local wildlife and changes often, resulting in a dynamic experience geared towards fostering curiosity and love for the ocean. 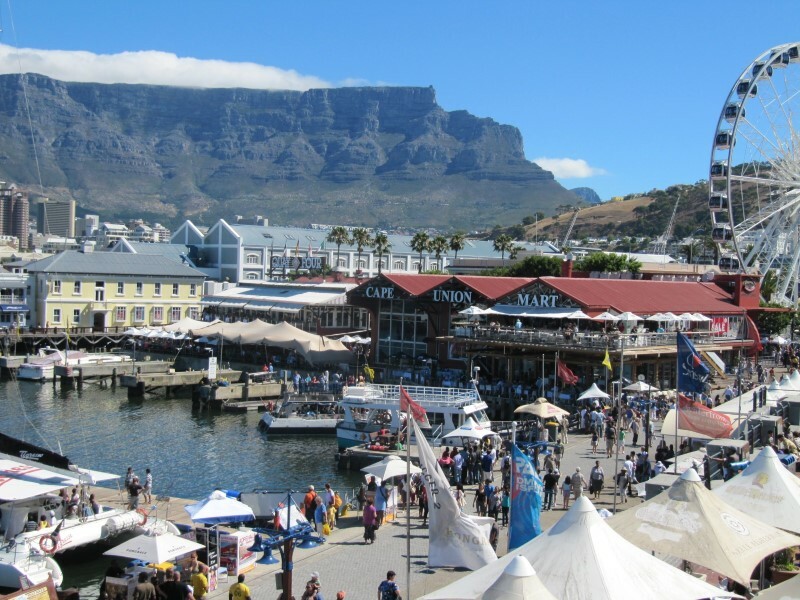 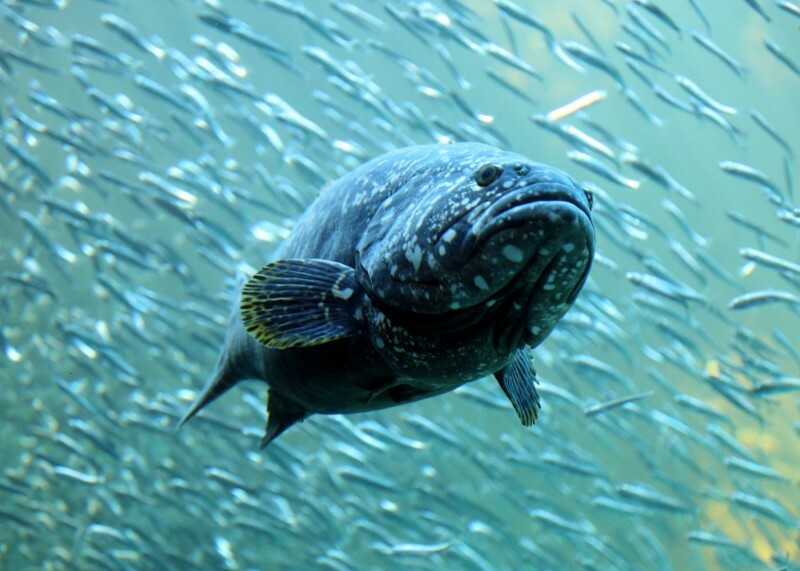 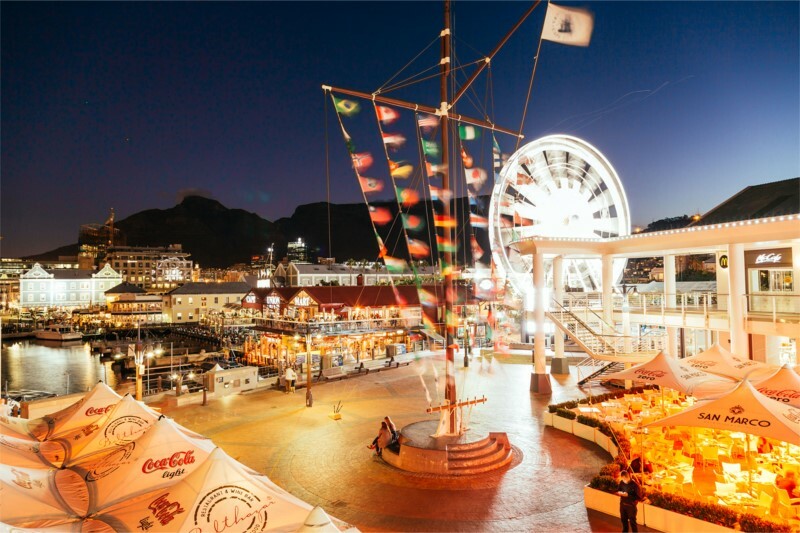 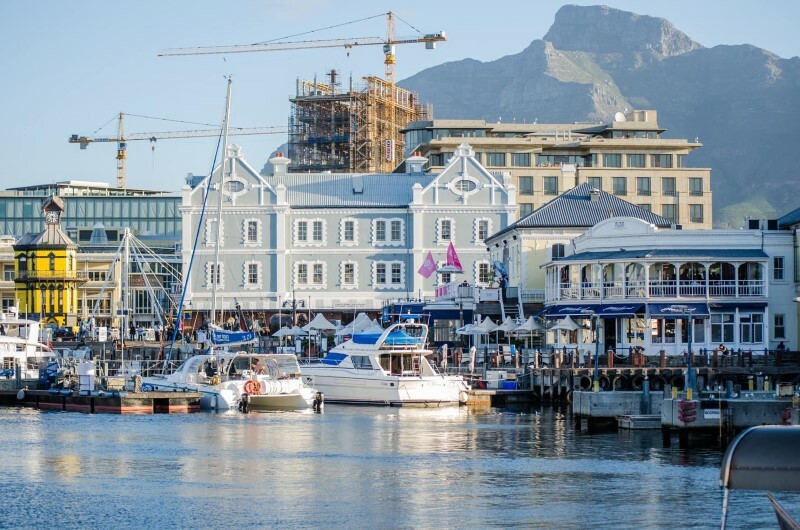 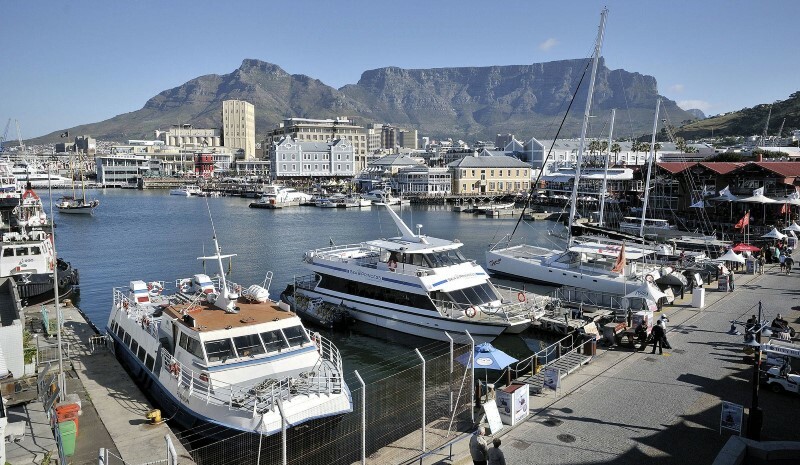 Conveniently located at the V&A Waterfront, Cape Town’s only aquarium is open 365 days a year. 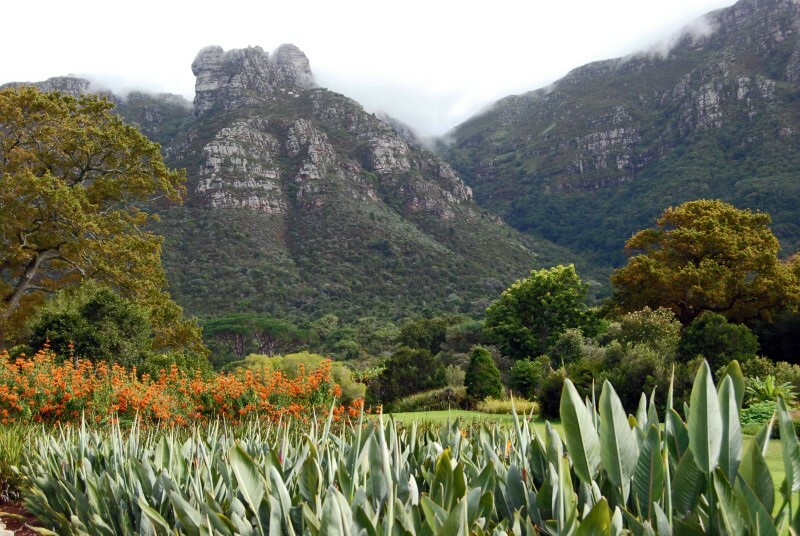 It’s a great alternative on bad-weather days when outdoor activities must be cancelled, and no pre-booking is required. 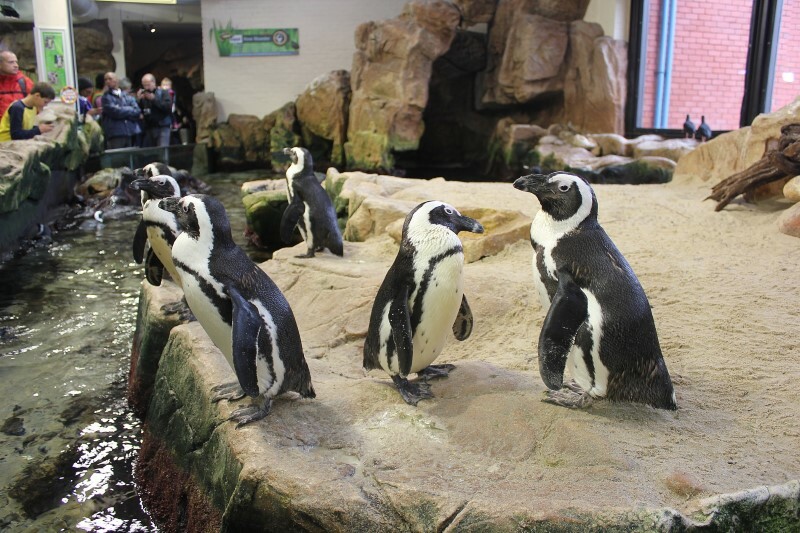 There are also several added activities on offer at the Aquarium, from photo opportunities and guided tours to animal experiences and scuba diving. 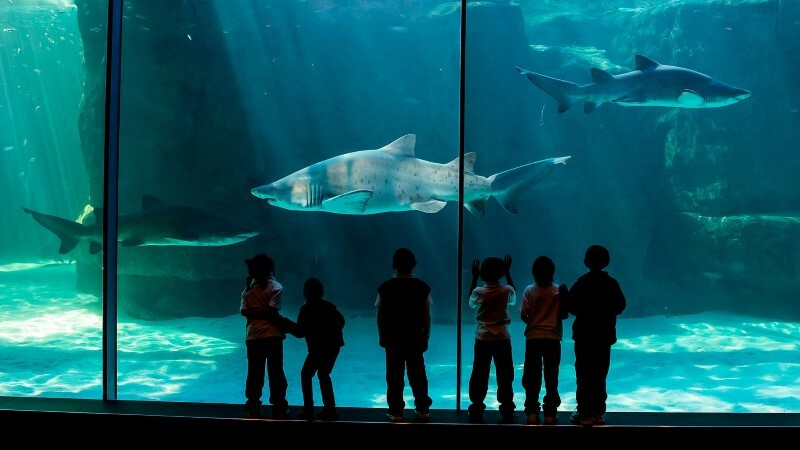 Young and old are invited to spend their time exploring, experiencing and engaging the natural world found below the ocean surface. 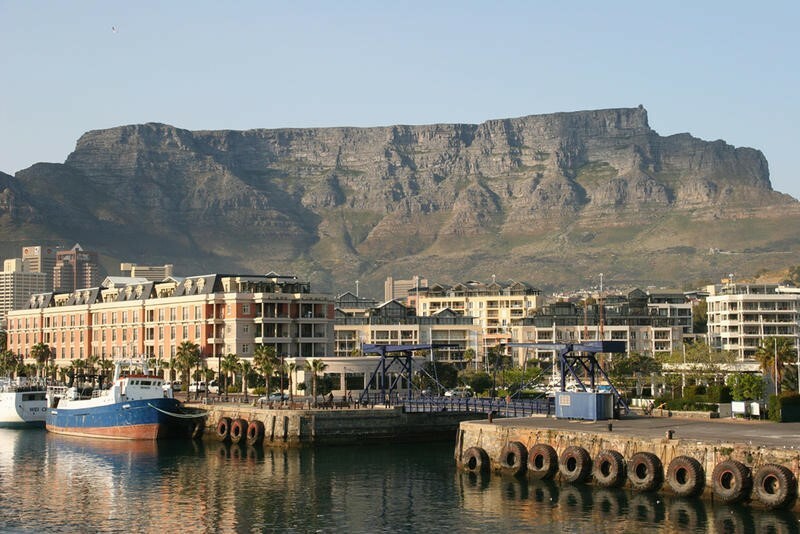 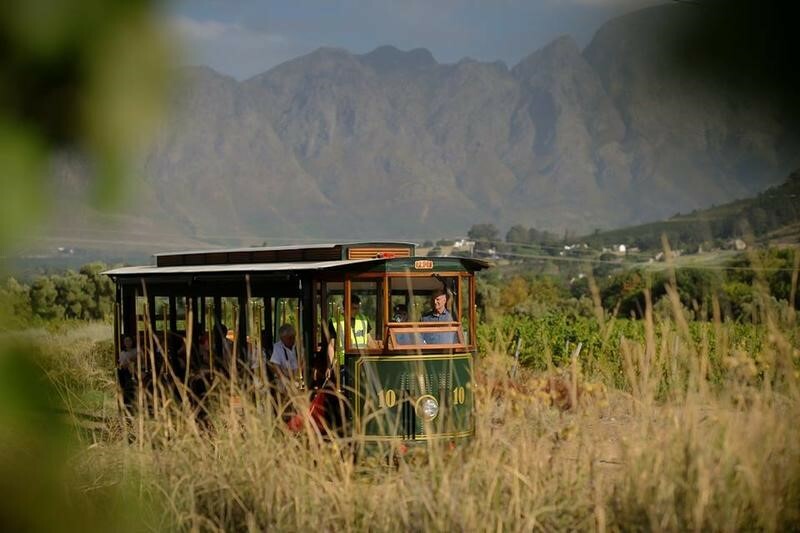 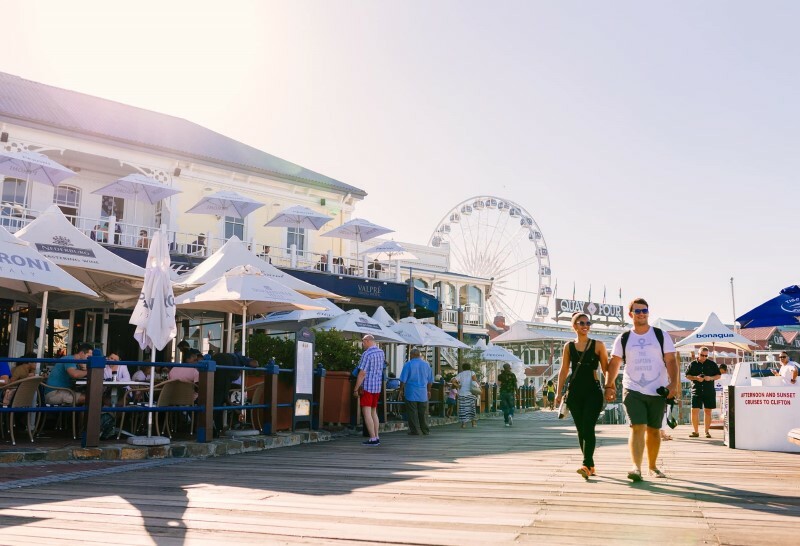 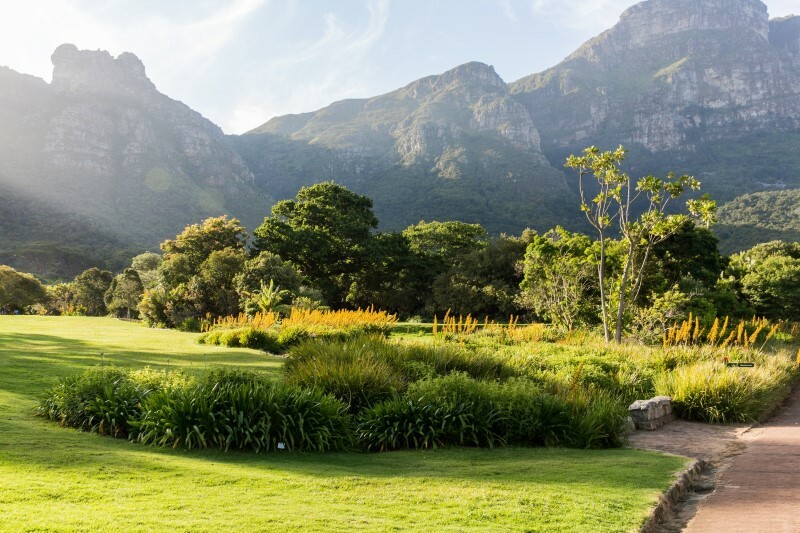 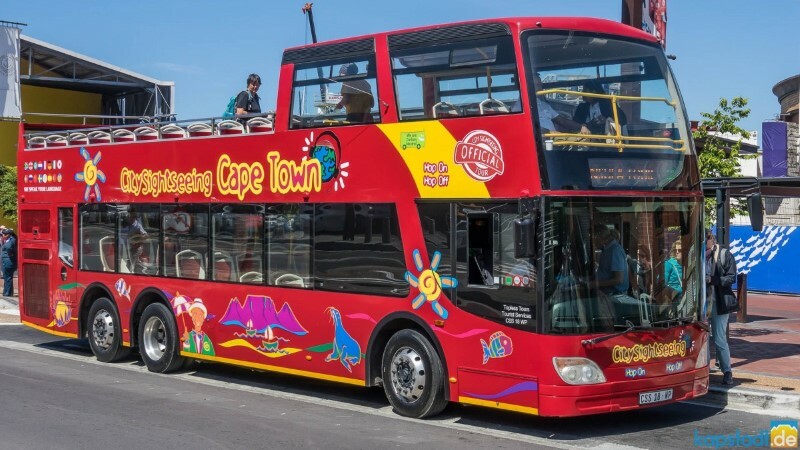 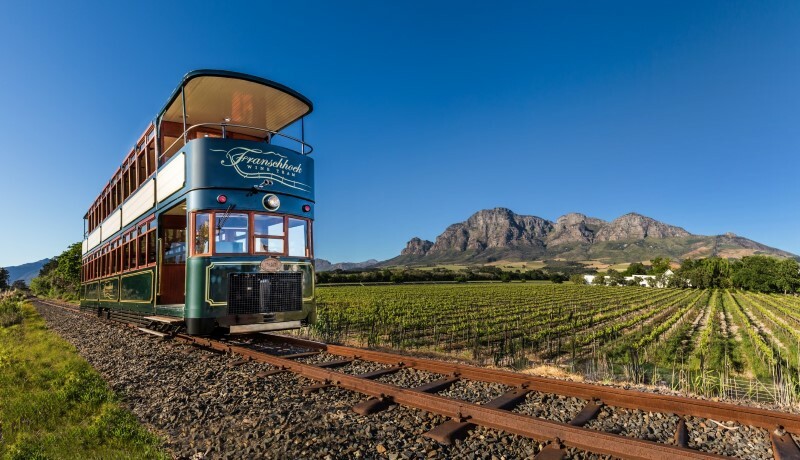 The Hop on Hop off Bus offers the easiest and most convenient way to visit the Table Mountain Cableway and offers a great introduction to Cape Town’s City Bowl, as well as Camps Bay and the Atlantic Seaboard. 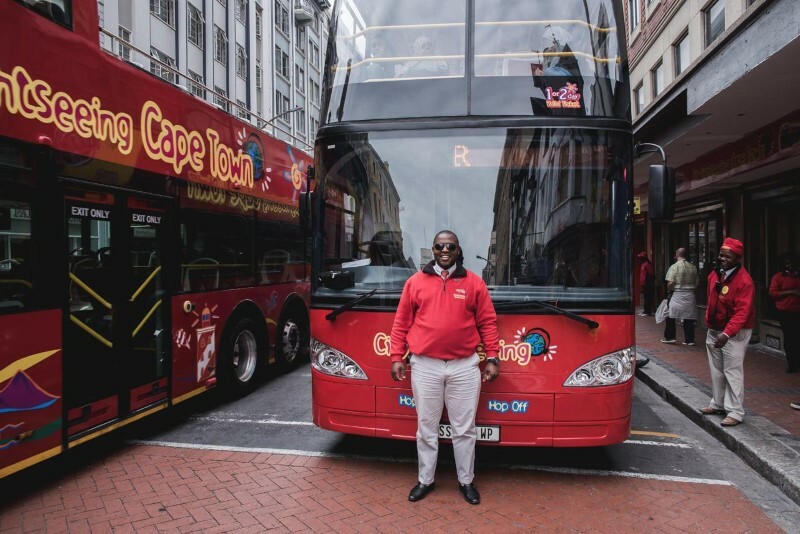 There are 11 bus stops, hop on and off as you like. 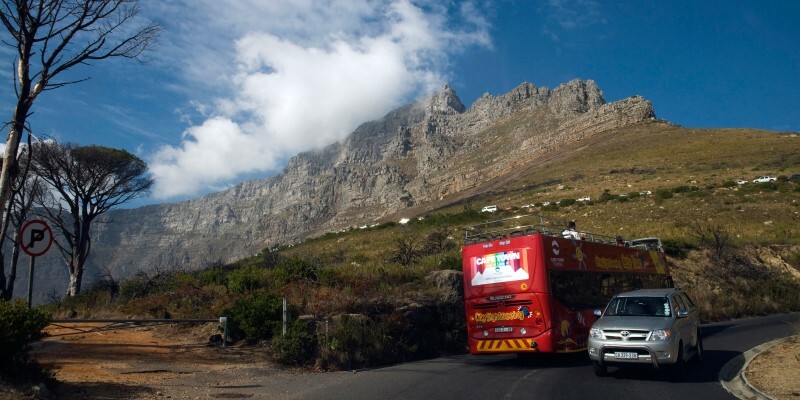 The total tour duration (with no hop offs) is approximately 90 minutes. 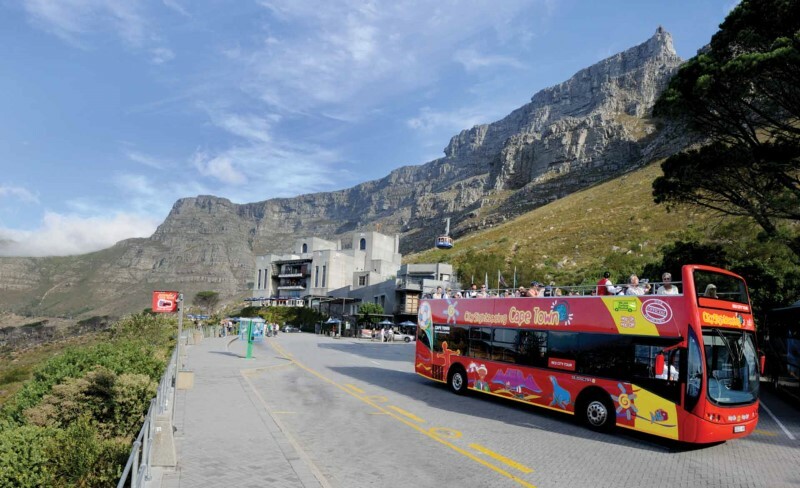 Skip the ticket queue at the Table Mountain Cableway (stop 7) and buy your Cableway ticket on the bus or at one of the red bus kiosks. 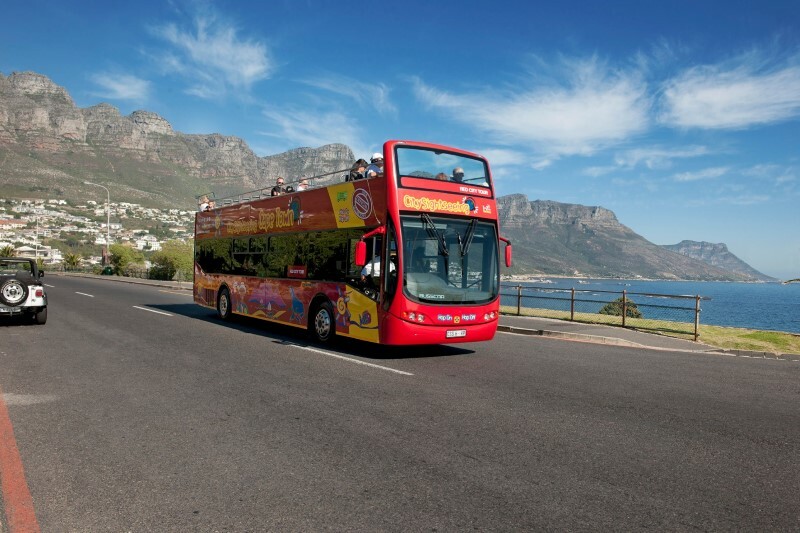 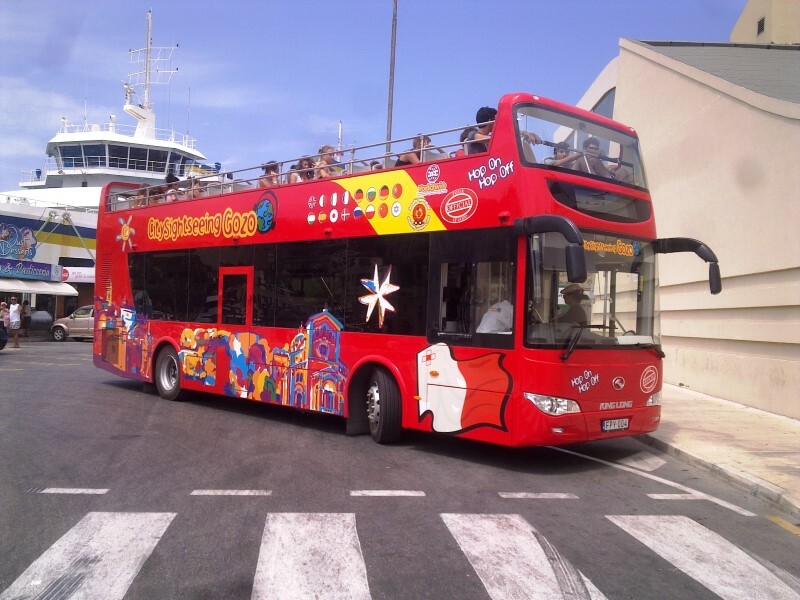 A red bus ticket allows you to hop on and hop off on all tours, so you can start your double-decker experience at any of the stops.